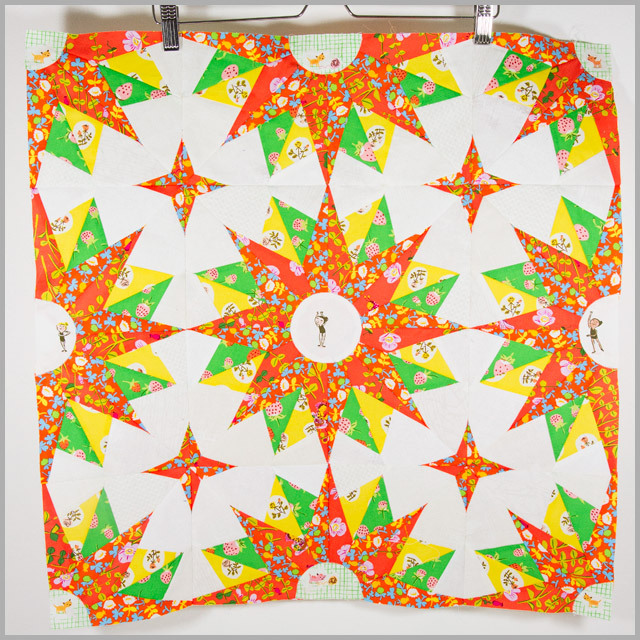 For most people, when they first start quilting, quilts are sewn together by machine. They’re made of squares and rectangles and half square triangles, and you have a slightly horrifying knowledge that in the background there are curves and equilateral triangles which you will tackle when you’re feeling stronger, possibly after a glass of wine or two. 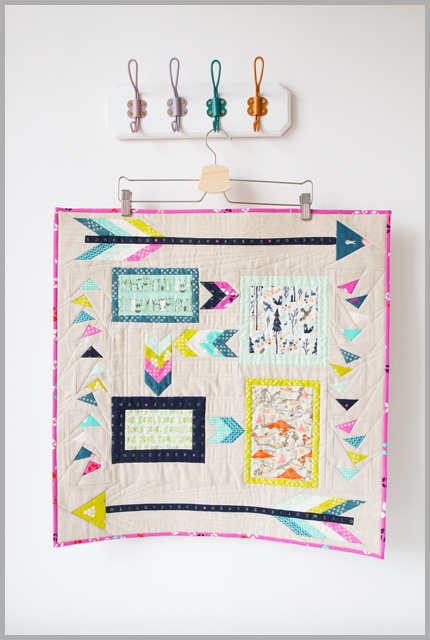 Then you go onto social media, or read magazines and discover that there’s a whole other kind of quilt piecing that has secret codes like EPP and FPP. You find words like hexie and realise this is nothing to do with casting curses on people but is, in fact, related to a shape that you can’t entirely wrap your head around sewing together. And the one thing they have in common is paper. Paper? Just when you’d got to grips with sewing fabric! So why do we bring paper into the equation? 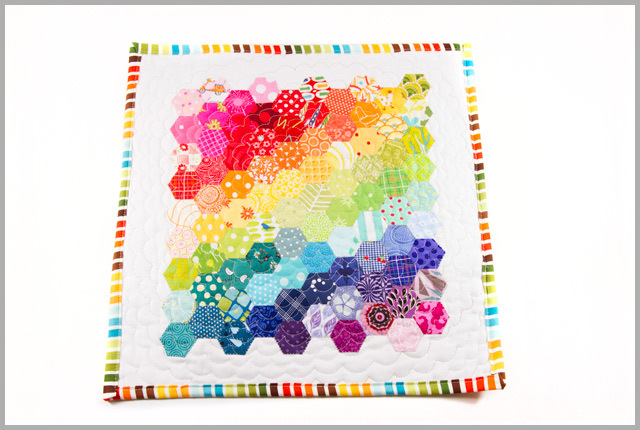 Take the hexagons in this cushion cover below. The side of each of these finished hexagons is 1″. If I were to try and sew these together by machine, it’s not technically impossible, but would be incredibly fiddly. If I tried to do it by hand, then there’s a good chance I’d fail to keep consistent seam allowances, and it would go wonky (which would also be a challenge by machine). 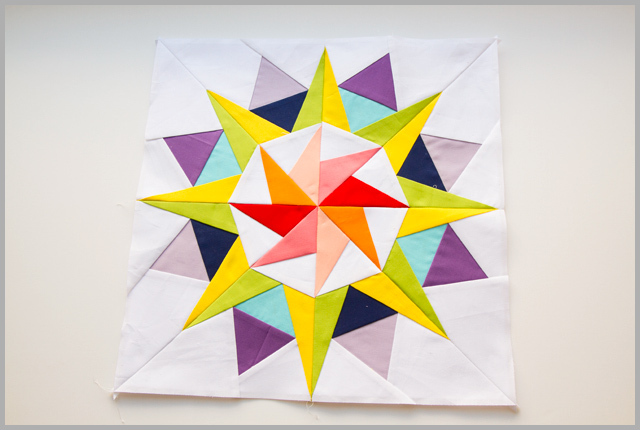 Instead, by basting the fabric to hexagon shapes made from paper, known as English Paper Piecing, it ensures the pieces stay the correct, uniform shape as we sew them together. So what about Foundation Paper Piecing? Well that’s a whole other use of paper. In this technique you use the paper as a stable base to sew teeny tiny bits, or awkward shapes on. Theoretically one could do it freehand, but the pain in trying to figure it out and keep all the shapes the way they’re meant to be is just too awful to contemplate! I hope that makes sense, in as much as using up perfectly good bits of paper in a sewing project ever can, but if you have any questions, please let me know! What a fun way to describe paper piecing 😍 Love it!